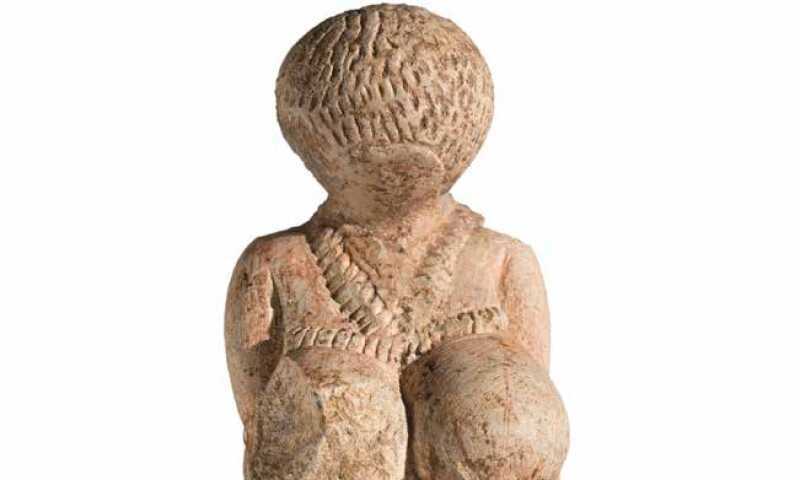 Female figure, Russia, Voronezh Region, Kostyonki, c. 23,000–21,000 BC. The jubilee year will start with Treasury! – a wideranging, kaleidoscopic overview of top pieces from the many different collections of the State Hermitage. The show is the result of meticulous preparation over a long period and will be a glittering feast of 25,000 years of art history. The masterpieces on show will represent cultures and movements extending in time from earliest prehistory right through to the 21st century. Visitors will experience an amazing journey through time and space, covering half the planet, from the Netherlands to China and from northern Siberia to Egypt. Hermitage Amsterdam is able to present an exhibition of such wide geographical and art historical scope thanks to its partnership with the State Hermitage Museum in St Petersburg. With holdings of over three million objects, the State Hermitage is one of the few truly encyclopaedic museums in the world. The over 250 exhibits will include masterpieces by big names like Bernini, Da Vinci, Dürer, Van Dyck, Fabre, Matisse, Rembrandt, Thorvaldsen, Tintoretto, Velázquez and Van der Weyden, but also works by lesser-known artists of startling talent. Visitors will experience an unique tour of art history that will not only include items from prehistory, the Greco-Roman world and the art of both Western Europe and the Orient, but will even encompass arms and armour, ancient books and manuscripts, the decorative arts and contemporary art. Adopting an innovative approach, the exhibition will present art objects from a wide range of periods and cultures in playful pairings that will surprise and delight by their visual or other similarities and differences in culture and period. The experience will incite visitors to adopt a more open-minded and attentive attitude to art. The second part of the exhibition will be a fascinating peregrination through all the departments and collections of the State Hermitage.